The MBR technology is a variation of the classic technology with active sludge, which is still used in the majority of the water treatment systems. It is characterized by a higher performance in comparison to the traditional systems and requires smaller building spaces. It also guarantees a high quality of the drain and it is suitable for re-use and potabilization. The smaller volumes required make it particularly suitable for the realization of prefabricated plants (according to the capacity, they can also be realized in containers) for the civil and industrial potabilization. 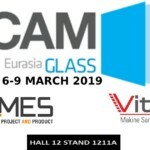 In order to calibrate the size and check its reliability, IMMMES realized many pilot-plants, testing the majority of the products in the market and trying different plants configurations. It is a suitable technology for the majority of refluent typologies, for both civil or industrial origin. In summary, the purification with active sludge happens with particular bacterial species. Thanks to the providing of oxygen from outside, these bacteria activate and reproduce themselves by feeding on the organic substance present in the refluent, and they aggregate in colonies (it is called biomass or sludge flakes) with a specific weight heavier than water. 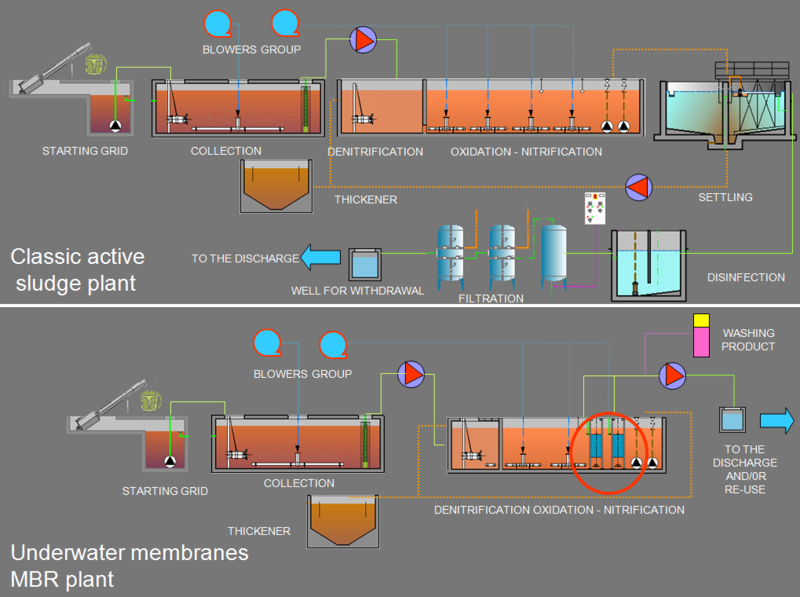 After this phase a sedimentation process takes place (solid-liquid separation) inside a specific tank, called decanter, in which the heavy part (biomass) sediments, while the cleaned water in the surface is stored and sent to the drain. The sedimented part (biomass) in the decanter is collected and recircled in the process. Since the biomass feeds and reproduces itself through the pollutant which flows to the purifier, its concentration will constantly increase, and therefore, the excess part will be extracted from the process and removed (disposal or re-use in agriculture). 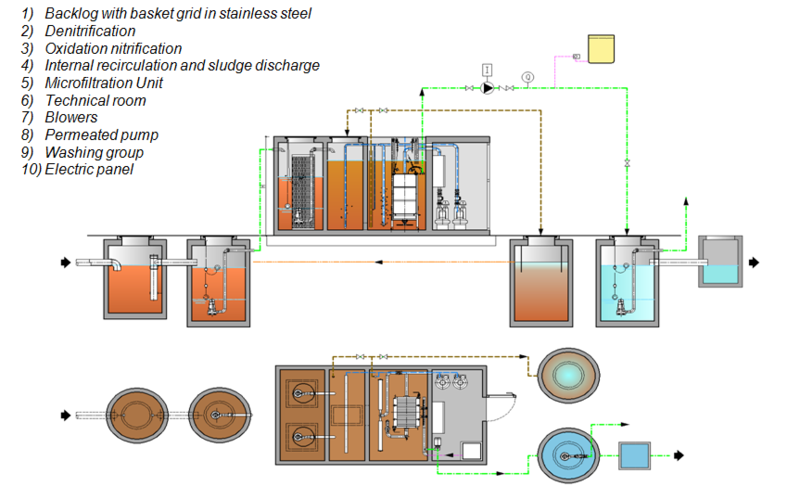 The biological MBR processes combine the conventional process with active sludge with the filtration of the biomass through semi-permeable membrane. The phase of solid-liquid separation, in other words clarification, doesn’t happen through sedimentation in the decanter anymore, but through filtration through membranes. 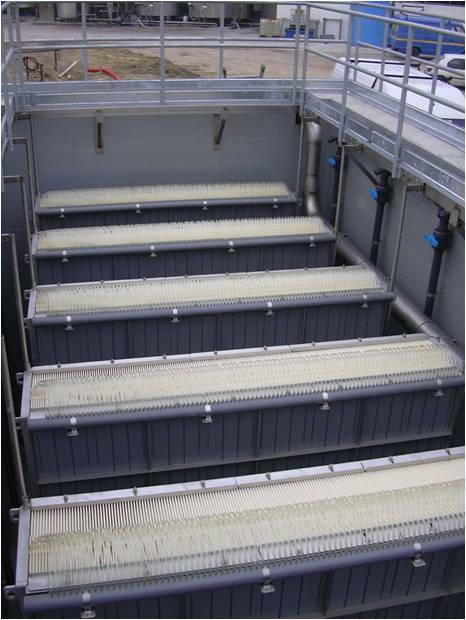 The use of MBR guarantees profits higher than the conventional systems, and in particular a total removal of suspended solids and bacteria, in addition to a simplification and increase of safety standards of the process. The MBR system is not influenced by the necessity to guarantee a perfect quality of sludge, which otherwise wouldn’t sediment efficaciously. The system can work with higher volumes of biomass, which give a better result in terms of purification and require for this reason smaller volumes. Thanks to the absence of the decanter the needed volumes and the plants design are reduced, and therefore this plant particularly suitable for the prefabrication or for the strengthening of existing plants. The bioreactor with membrane is an association of the ultra-filtration membrane technology and the biological treatment. The classic settler is removed and replaced with a filtration system, which can directly be immersed in the oxidation tank of the biomass.